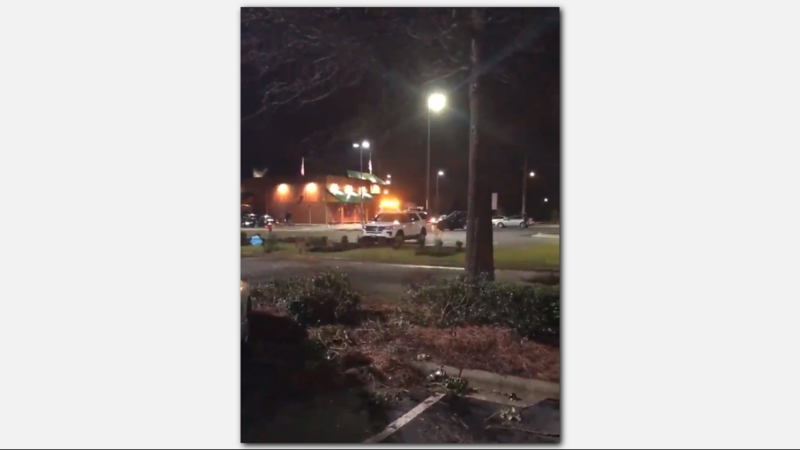 Texas Roadhouse customers were shocked to find out someone hit their vehicles. 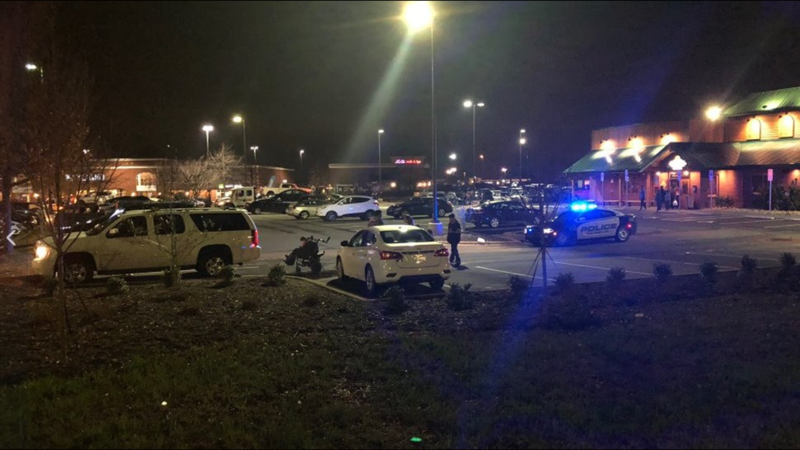 HIGH POINT, N.C. — A man who crashed his truck into almost a dozen vehicles in a High Point restaurant parking lot has been charged. Timothy Wickline, 25 of Clintonville, WV is charged with Driving While Impaired (DWI) and Reckless driving, High Point Police confirms. We spoke with one man who was able to come outside just after the chaos. "I can't explain it, I can't explain it. It's just like dominoes. They were just smashed together, total loss. Can you imagine eating and your car is a total loss and you weren't in it," asked Willie Hardin. Hardin hadn't even gotten his drink yet when he heard a loud commotion outside. When he saw what happened he was thankful his own truck wasn't hit. He also overheard people who had their car's hit talk about how it could have been so much worse. "He had a Dodge truck just like I did. 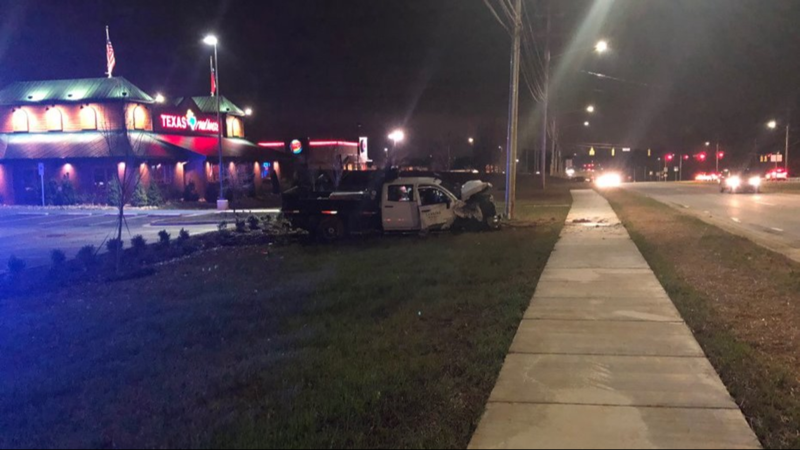 The first thing he said was 'I'm glad my baby wasn't in there,' because the side the truck hit on, that's the side the baby's seat was on," said Hardin. Police say Wickline was driving his company truck when he hit a small tree and a landscaping island while leaving the parking lot of Food Lion in the 3900 block of Brian Jordan Pl. Wickline then drove into parking lot of the Texas Roadhouse and hit 10 vehicles before coming to a stop. Wickline sustained minor injuries and no other injuries were reported, police say. 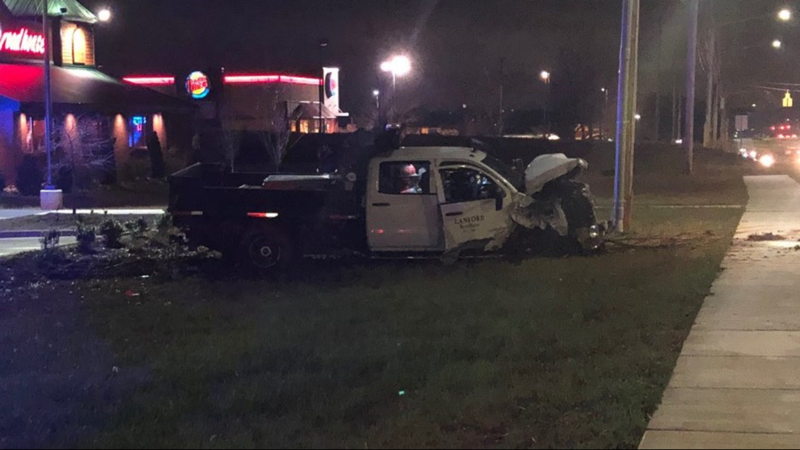 Estimated damages from the crashes police say are: $88,500. It happened at the Palladium off Wendover Avenue in the Texas Roadhouse Parking lot. High Point Police didn't say why the driver lost control or if anyone was hurt when we followed up Thursday morning. We're staying on top of this story and will update as soon as we have more information.